After Messenger, WhatsApp Messenger will be the next App to get Dark Mode or Night Mode. Recently, dark mode feature was seen in the beta version of WhatsApp. WaBetaInfo site, that tracks all new feature released on Beta Version. Has recently, mentioned the dark mode in the latest beta. Though, even you download latest WhatsApp Beta 2.19.87. Then still you will not find out any toggle option to enable WhatsApp Dark Mode. WhatsApp is currently working on this feature, so that, to ensure the best bug-free experience for its users. Though, in a few days, beta users will able to enable dark mode in WhatsApp. But, if you’re using a stable version, then you have to wait for at least a month. But, if you can’t wait, then this article will help you enable a sort of dark mode. 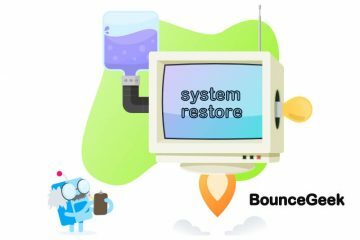 In this article, I am going to mention certain methods. Because there isn’t any single way for all, to archive the dark theme in WhatsApp. 1 Activate WhatsApp Dark Mode. 1.3 Use Modded Version of WhatsApp. 1.4 Join WhatsApp Beta Program. Yes currently, there isn’t any official way to enable complete dark mode. But, still, you can set a dark wallpaper behind your chat Window. If WhatsApp is your primary App for messaging. Then, setting up a dark background is worthy. 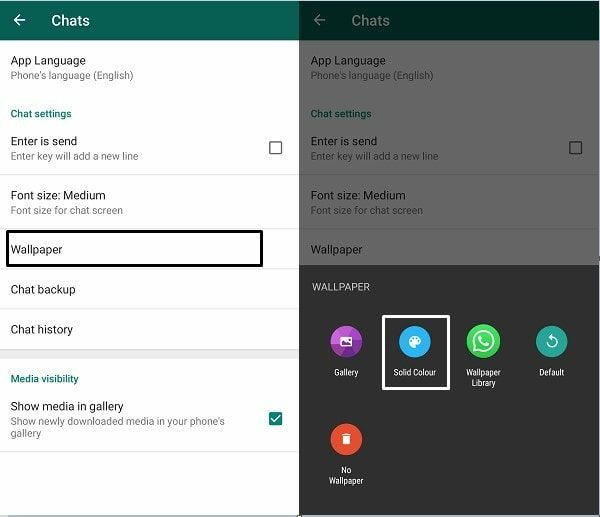 Officially, WhatsApp allows setting a solid colour background. But, that background isn’t completely dark. So, I suggest you download dark wallpaper and set it. 1. Open WhatsApp, Tap on three dots from the upper right corner to access the menu. After that, tap on the Settings icon. 2. 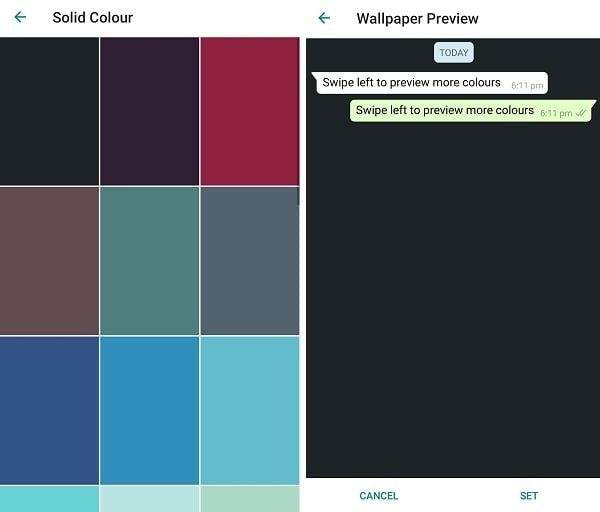 In WhatsApp settings, tap on Chats > Wallpaper > Solid Color. 3. Select the first solid colour, because it’s a little bit dark background. After that, tap on the “SET” option. That’s it. Now open any chat Window. And, you will able to see the dark background. If you’re using Xiaomi device, then you don’t need to wait for the dark mode. 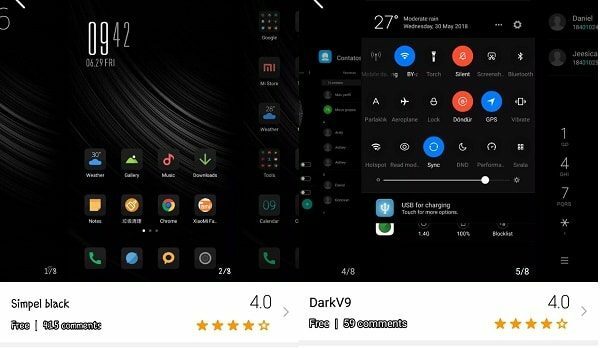 Because there are some dark themes available in Xiaomi theme store. Which enables WhatsApp Dark Mode easily. Though, on some MIUI versions, these themes won’t work. But, still, you can give it a try. Also, if you’re using any other smartphone brand. Which also comes with a theme store. Then, you can try installing the dark themes. Use Modded Version of WhatsApp. Like the modded version of Instagram, there is a modded version of WhatsApp also available. That comes with many advanced features, that you want in official WhatsApp. There are many WhatsApp modded Apps available. But, I will suggest you download GBWhatsApp only. It comes with theme option, similar to the modded Instagram App. 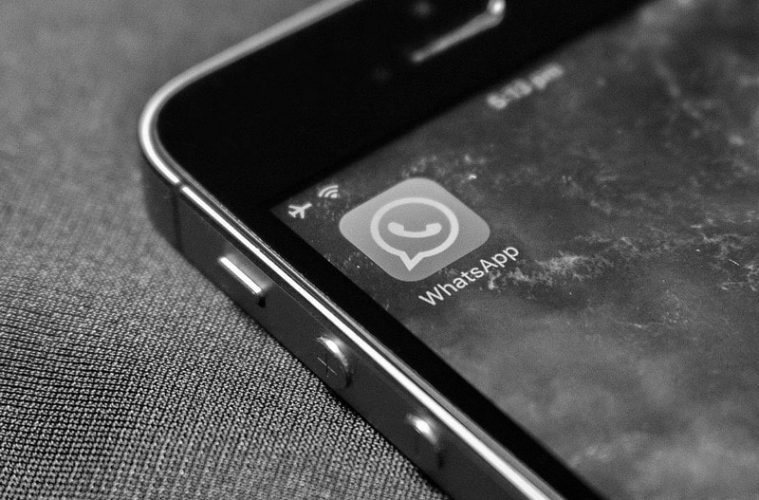 GBWhatsApp allows the user to sort WhatsApp messages by oldest/newest. You can forward the message to anyone without the forward tag. App also allows knowing the history of revoked messages. 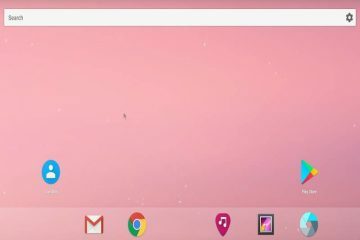 You can add new stickers, fonts and new launcher icons. Overall, there are, many small features, that is currently unavailable in the official version. But, don’t worry, GBWhatsApp is based on the latest official version of WhatsApp App. 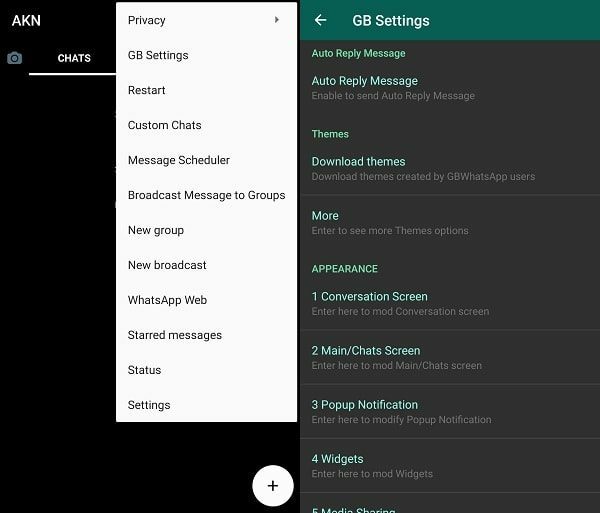 Enable WhatsApp Dark Mode using GbWhatsApp. If you want to use a secondary WhatsApp Account. Then, you don’t need to uninstall official WhatsApp. But, If you want to use your main WhatsApp account. Then, I suggest you uninstall the official WhatsApp App. But, don’t try your main Account. You might face some trouble while using it. 1. 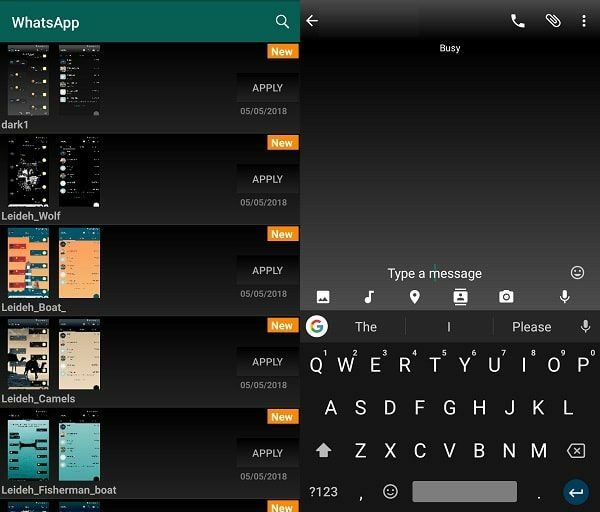 Download and Install the modded version of WhatsApp in your Android Device. 2. Open WhatsApp and stay on the CHATS window. Tap on three dots and then tap on GB Settings. 3. In GB Settings, under Themes section, tap on Download themes option. 4. Now, select the dark theme of your choice. Tap on Apply. 5. 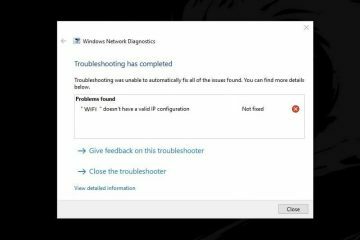 A popup window will appear now to restart the WhatsApp App. Tap on OK to restart. That’s it. Now, you can see dark mode got activated in WhatsApp. As I mentioned, Soon WhatsApp going to introduce a dark mode in beta version. 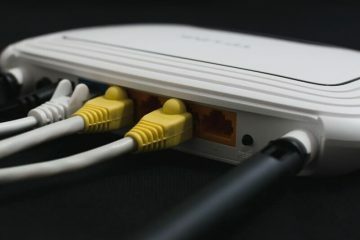 So, it could possible that when you’re reading this article. Dark mode got launch that time. In that case, first, check the WaBetaInfo site. And, if the site shows information about the dark mode. Then, you can replace your stable WhatsApp with the beta version. If you try to join WhatsApp beta program from Play Store. Then, it will show you already full. In that case, search google for “WhatsApp beta”. Open the First site, and then click on “Become a tester”. Before installing the beta version of WhatsApp, first, uninstall stable version. 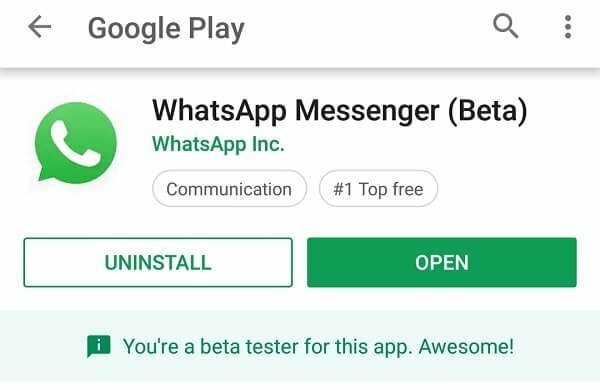 Now on WhatsApp beta webpage, click on “download it on Google Play” option to download WhatsApp beta. That’s it. With the beta version of WhatsApp. You will get dark mode feature officially faster. Previous ArticleActivate Dark Mode on Instagram – Instagram dark mode. 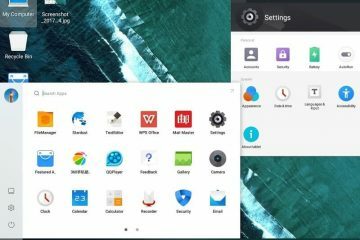 How to Install Android on PC – Install Android-x86 Nougat.